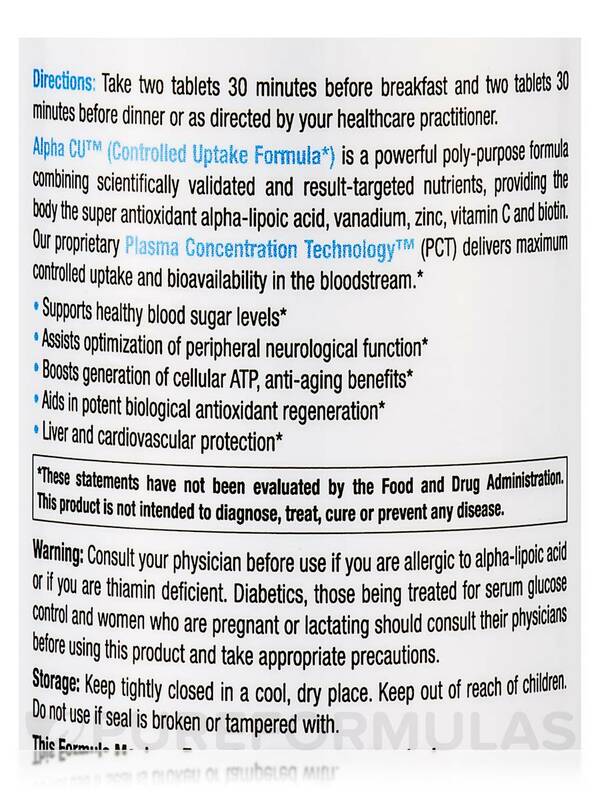 Alpha Lipoic Acid is a powerful antioxidant which can cross the blood/brain barrier. 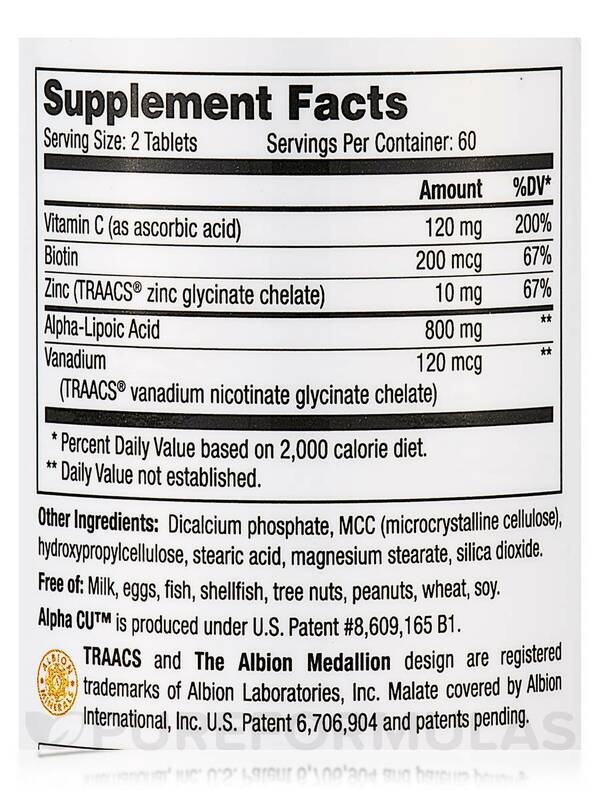 About a year ago a blood analysis showed I was deficient in this and Ive been taking it since. Among other benefits it appears to be a chelator of heavy metals. 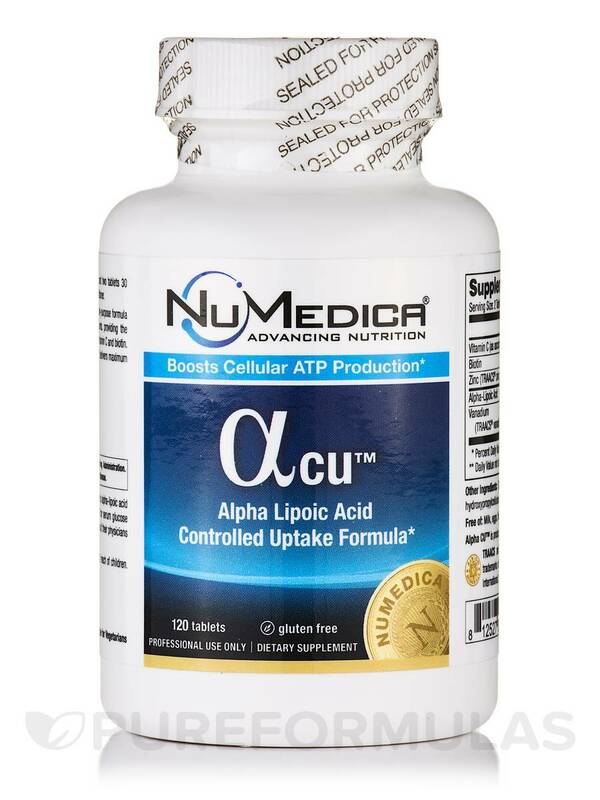 Alpha CU™ is a powerful poly-purpose formula combining scientifically-validated and result-targeted nutrients‚ providing the body the super antioxidant Alpha Lipoic Acid‚ Vanadium‚ Zinc‚ Vitamin C and Biotin. 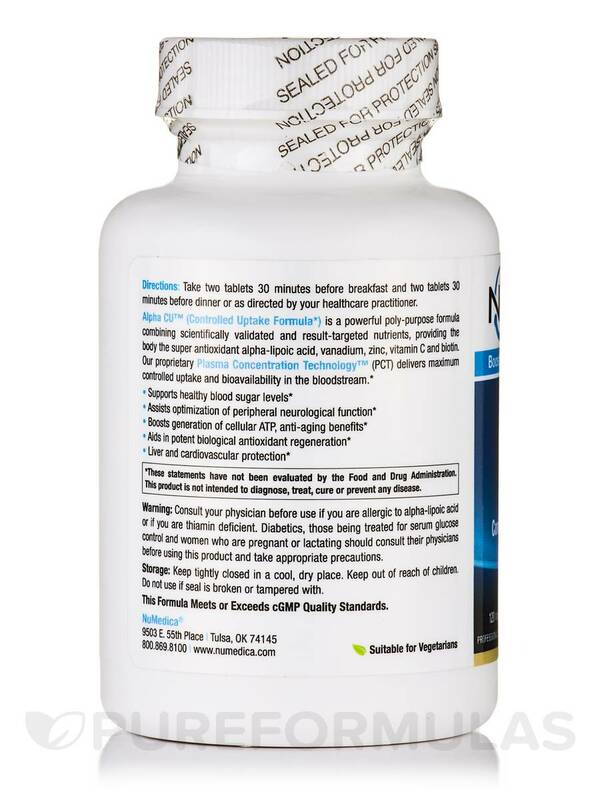 Proprietary Plasma Concentration Technology™ (PCT)‚ delivers maximum controlled uptake and bioavailability in the bloodstream. Dicalcium phosphate‚ microcrystalline cellulose‚ stearic acid‚ hydroxypropylcellulose‚ magnesium stearate‚ and silica. 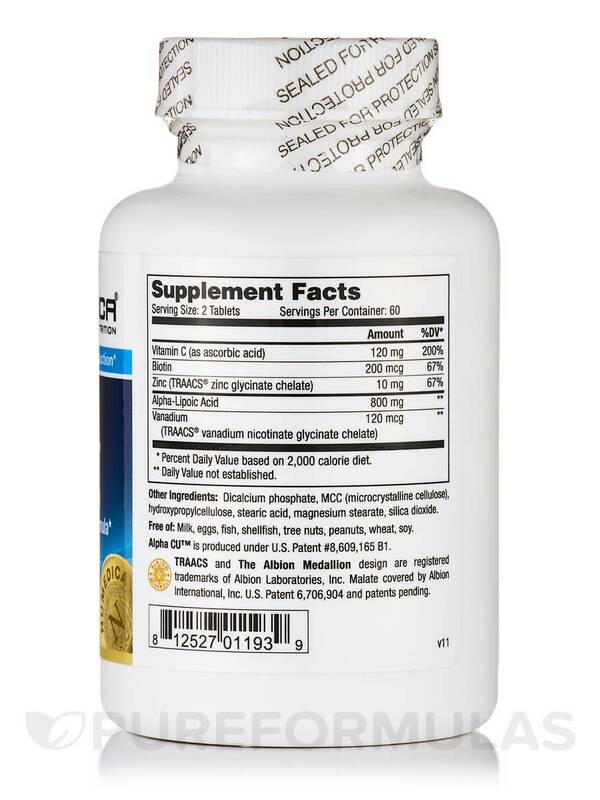 TRAACS and the Albion Medallion are trademarks of Albion Laboratories‚ Inc.
Take 2 tablets 30 minutes before breakfast and 1-2 tablets 30 minutes before dinner or as directed by your healthcare pracitioner. What I had ordered came very promptly as everything from Pure Formulas always does. I appreciate the cost savings including free shipping from this company.